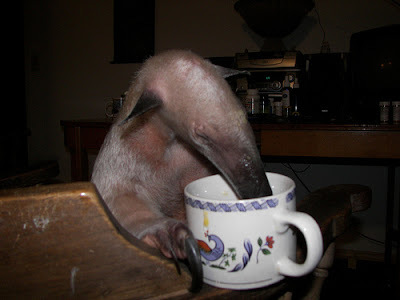 Of course, when Erin saw this Onion video about some poor soul who wastes his life studying anteaters, she thought of me. 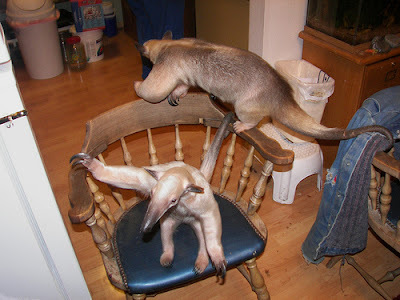 On the subject of anteaters — and in total disregard to the tone of the video — how cool is this blog? What could be more worth your time than a blog that posts images of this caliber? 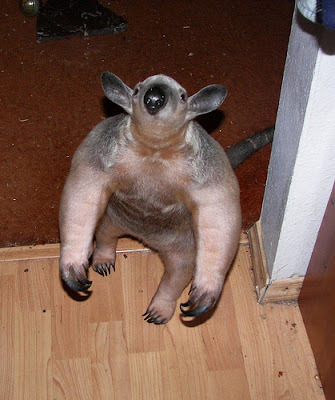 I wanted more incredibly cool if a bit unsettling anteater photos but the link to the blog doesn't work. And glad the blog didn't concern roosters.